OML has provided millimeter and sub-millimeter wave extension products to customers around the world. We continue to supply innovative products and support that allows our customer to make the connection to their solutions. OML introduces its new mixer series specifically designed for handheld spectrum analyzers as a portable solution for millimeter wave spectrum analysis measurement.This harmonic mixer provides you the ease of portable field measurement in a one box solution. 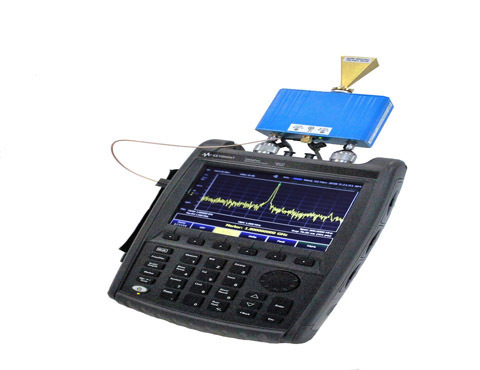 Expanding your existing Spectrum Analyzer capabilities these harmonic mixers are compatible with spectrum analyzers that offer an external mixer option. Ranging from 50 to 325 GHz we also offer accessories such as diplexers, as needed for particular SPAs, and electronic data for use with Keysight’s PXA. 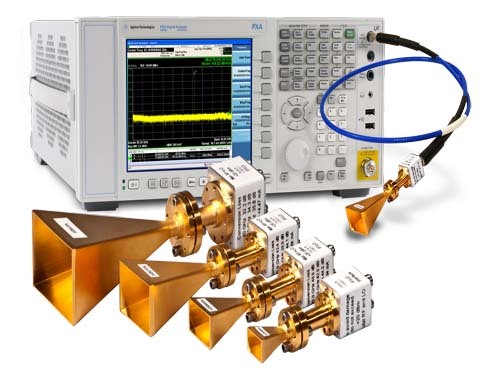 Our source modules connect to the RF output of your existing signal generator in order to expand the capabilities to conduct measurements in the millimeter wave range. Covering 50 to 500 GHz, we also offer options that include High Power and both variable and electronic attenuation. Utilize this with 5G and WiGig testing. And now offering a solution for IMD. 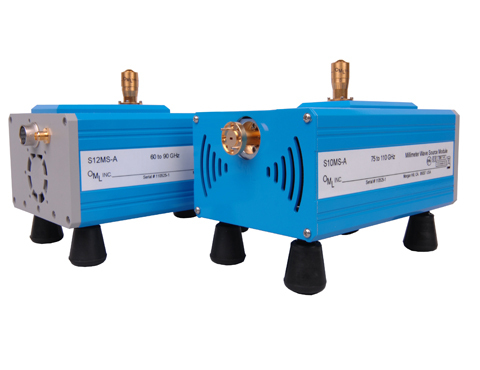 Compatible with most Vector Network Analyzers, our frequency extension modules connect to your existing test port(s)and leverage the inherent microwave network analyzer’s performance and features to display two-port S-parameters: S11, S21, S12 and S22. Covering from 50 to 500 GHz we offer various module setups and options such as attenuation, IMD and extended ranges. OML offers models for extended bands in a variety of their products. This allows our customers to expand their reach of the millimeter wave arena. 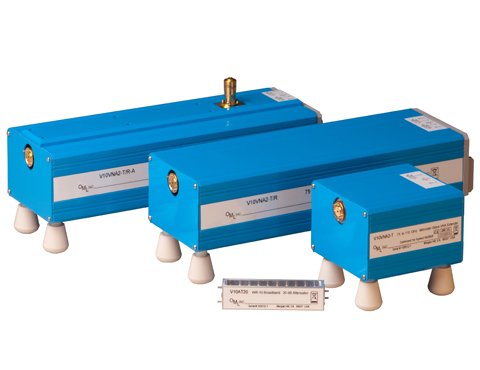 With extended bands offered in VNAs, such as WR-10 (extended band of 67-116 GHz) and WR-12 (extended band of 56-94 GHz), we strive to provide you with a one box solution that provides the capability to measure and discover your next solution. Contact OML today for more information on how we can expand your solutions. 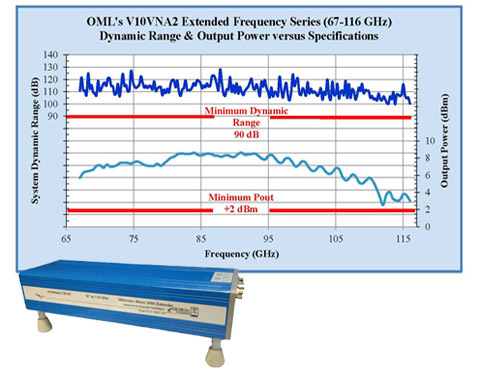 Located in Silicon Valley, OML, Inc. is the premier supplier of innovative millimeter wave frequency extension products for vector networks analyzers, scalar network analyzers, spectrum analyzers, converters and signal generators. We strive to provide solutions to our customers that allow them to pursue emerging applications in the fields of communication, imaging, space research, radio astronomy, biomedical and much more. With over 25 years in the industry we value being able to have provided reliable cutting-edge technology to our customers. We look forward to helping you find your next solution.